Do you feel like you’re publishing posts to your real estate blog without results? Are you haunted by the sound of crickets every time you hit publish? Would you like to know how to gain more engaged readers that actively comment on and share your posts? Of course you would! Otherwise you wouldn’t be here. 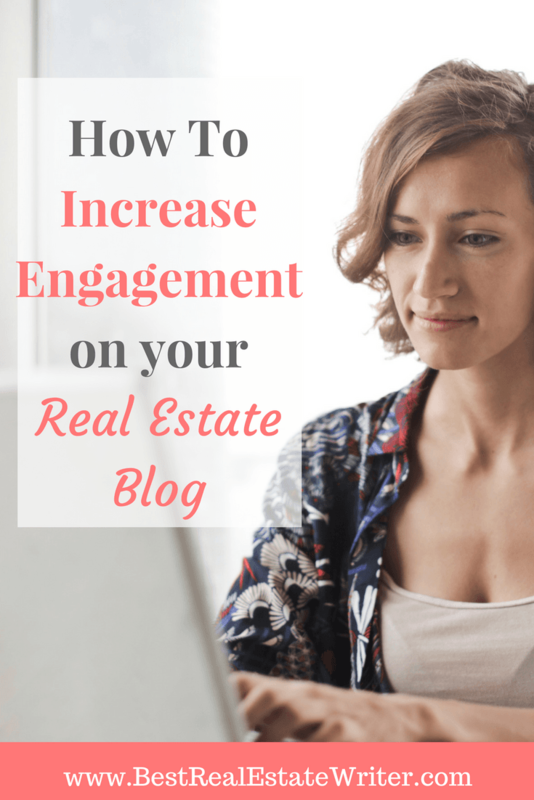 Growing a more engaged audience for your real estate blog without spending additional time is what today’s tips are all about. I want to see you become as successful and rich as possible from your real estate blogging efforts, so please make sure that you subscribe to get cutting-edge advice every week. If you want to get people talking, you need to lead the conversation. People love to share their opinions online, thus platforms like Yelp!. Hyper-local real estate content is especially valuable for attracting the opinions of your targets. Rather than making your conclusion a call-to-action that requests your readers to download a guide or complete a home valuation, ask them a question and tell them to respond. Your readers will appreciate you asking for their opinions on meaningful and relevant questions and will be more likely to comment that way. Just make sure that the questions you ask are enticing enough to garner a response. One of the best ways to get the conversation started is by posting content that is controversial. Perhaps this has to do with a local event or new. Or you could write a review of a local restaurant or business and ask your readers to provide their opinions. Politics are always a magnet for comments and opinions, but be careful on how you position your content so that your image is not negatively impacted. You can’t expect people to do anything anymore unless it is effortless. This includes commenting on your real estate blog. I insist that you keep your plug-in as simplistic and mobile-friendly as possible to encourage more comments. People are not going to return to your real estate blog if you don’t provide them with the content that matters to them. If you market one of your articles as being a solution to a problem, you damn well better deliver that solution. The same goes for showing them how to achieve a goal that is important to them. Never falsely advertise your real estate blog as being more than what it is and always hold-up to your end of the blogging bargain. If you want people to comment on your real estate blog in a positive light, you need to make sure that they hang around till the very end. They will not bother to do so if the content of your blog article is lack-luster. Make sure that your content is entertaining and educational enough to keep their interest peaked all the way until your call-to-action. One of the cheapest and easiest ways to get more traffic for your real estate website and blog is through social sharing on social media and platforms like Pinterest (currently the second largest search engine). You need to write the content in a way that will make them look good for sharing your content. You need to make is easy for them to share your content. You need to tell/ask them to share your content. Make sure that you have buttons and plugins installed into your real estate blog that it possible for your readers to share your article in two clicks or less. 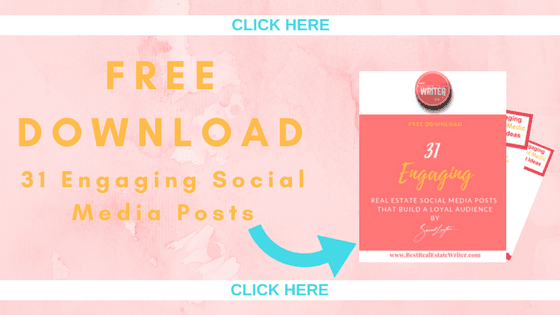 If you want to get them to pin your post, I highly recommend that you create the branded pin for them and include it alongside with your call-to-action that requests them to pin it. The more you can simplify engagement and sharing with your real estate blog, the happier you will be with the results. Creating content that ignites engagement and converts prospects into profits can be very hard and complicated work. BUT...it doesn’t have to be! I’ll show you all you need to know to create effective copy in my course Competitive Edge Content Creation. When you reserve your seat and complete the course, you will also receive over $15K worth of free tools and resources as my gift to you.